Product #5658 | SKU CRA-202PB | 0.0 (no ratings yet) Thanks for your rating! 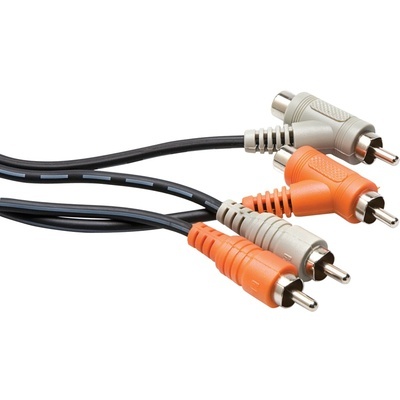 This Hosa Dual RCA to Dual RCA + Female Junction Cable is an audio cable with dual plastic molded RCA male plugs at one end and dual plastic molded RCA angled male plugs joined with a female RCA socket at the other end. This allows for "pass through" signal routing of multiple devices from just one set of RCA outputs. With grey and orange color coding, ideal for Left/Right applications.